AKIPRESS.COM - Just two days after announcing his resignation on Instagram, Iran's Foreign Minister Mohammad Javad Zarif has returned to work, according to the country's state news agency Press TV, CNN reports. The nation's top diplomat resumed his duties after Iran's President Hassan Rouhani rejected Zarif's resignation on Tuesday, saying it would be "against the country's national interests," the semi-official Mehr news agency reported. Zarif thanked the Iranian nation and government officials on Wednesday for their support in the wake of his announcement. 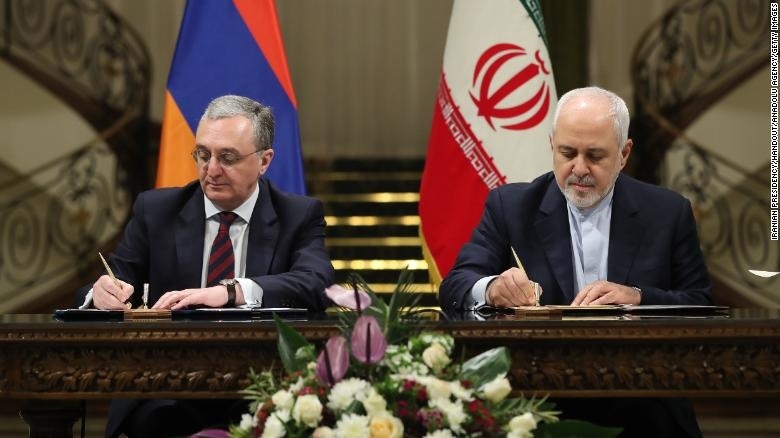 The foreign minister resumed his duties by attending the official welcome ceremony for Armenian Prime Minister Nikol Pashinyan to Tehran and by speaking on the phone with his Syrian counterpart, Walid al-Moallem. Zarif, who has held the post since 2013 announced his intention to step down via Instagram on Monday evening.